Yellow has always been a color of energy, fun, and cheerfulness. 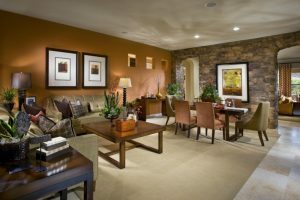 And that is why it is used in a room to make the room feel more refreshed and bright. One of the room that will welcome yellow is a place of social encounter: a kitchen. 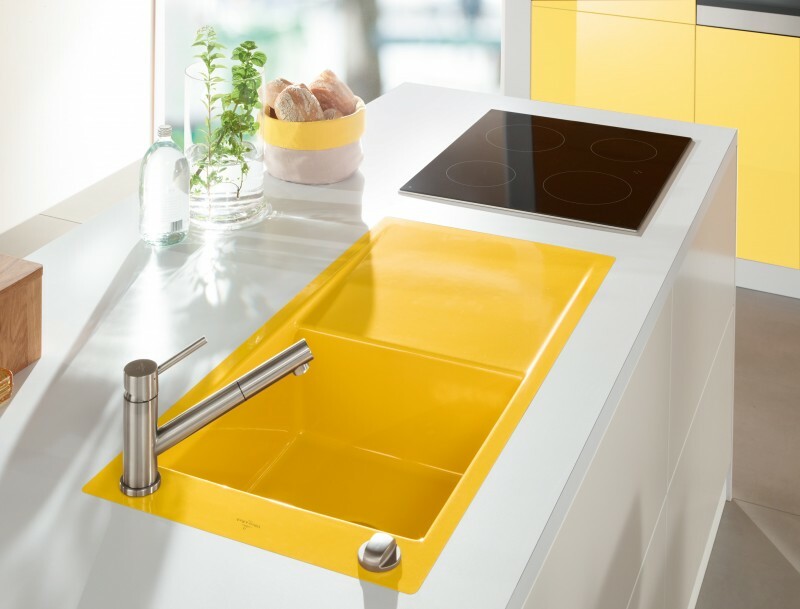 Adding yellow to your kitchen will make the kitchen looks bright and popped out. 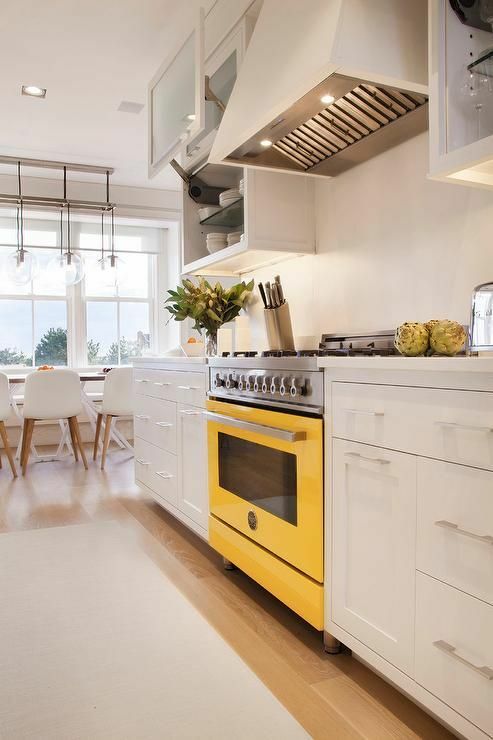 Here are ten bright kitchens to show how yellow will play a bold game in the room. 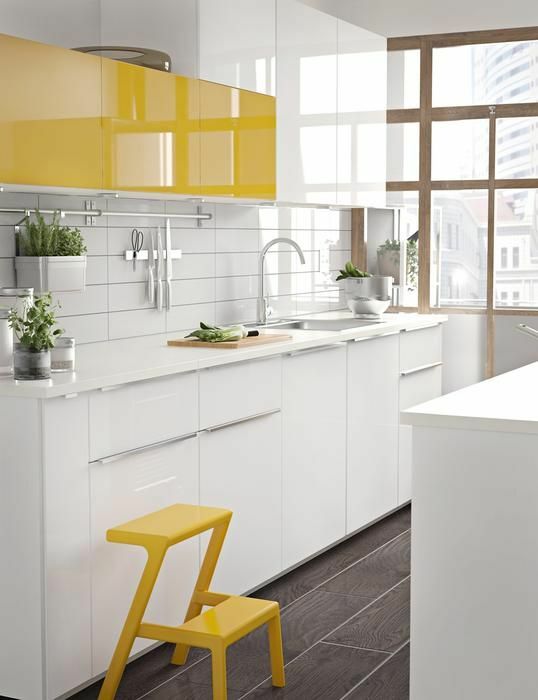 One of the easiest way to make a yellow mark on a kitchen is by adding yellow seat inside. This one here uses yellow sofa to complete the kitchen nook while the surrounding is either in white or wood brown color. 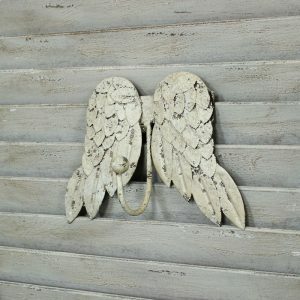 This fresh touch has made the kitchen looks more lively. This one here also uses yellow seating in showing the bright yellow vibe. 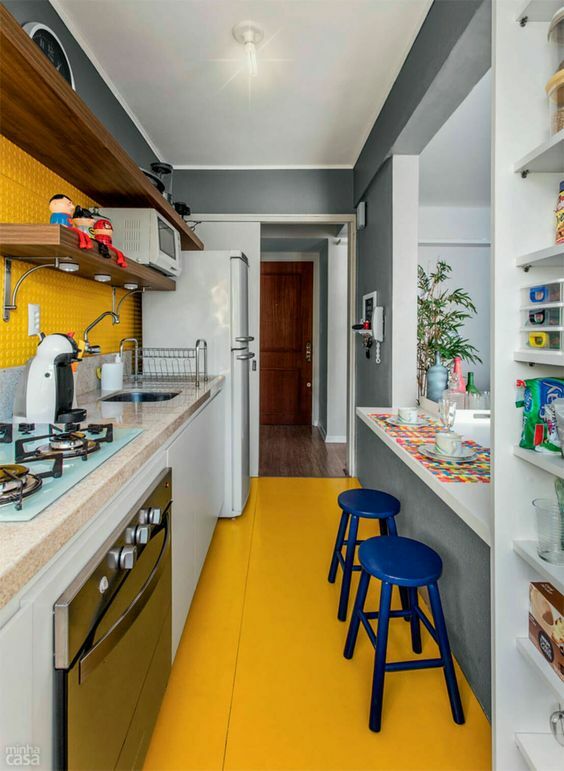 Although the bright yellow seems popped out, this one here has an incredible kitchen from the start. 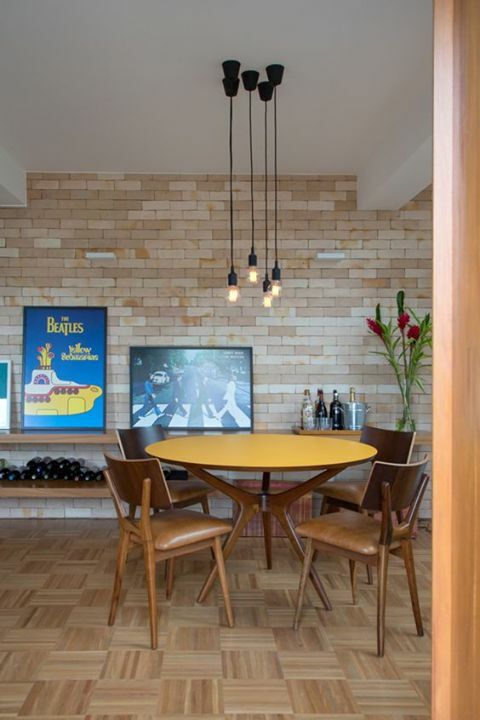 The stone, wooden boards, and tiles on the floor give an amazing texture completed with rattan bench, yellow patterned backsplash, and wooden cabinet. This one here similarly puts bold and bright yellow on the chair. 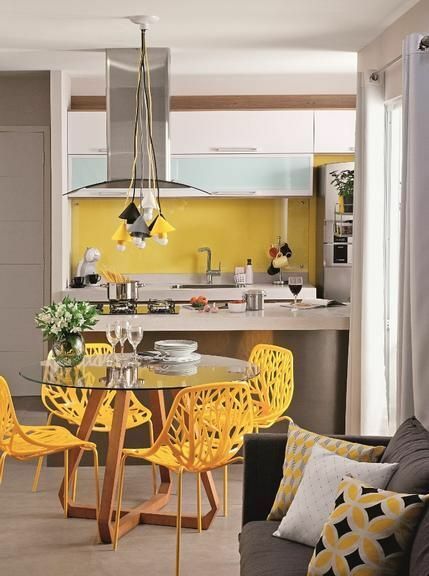 However, in this modern and rather minimalist kitchen, the yellow chairs are with interesting details that completes the quite clean surface. 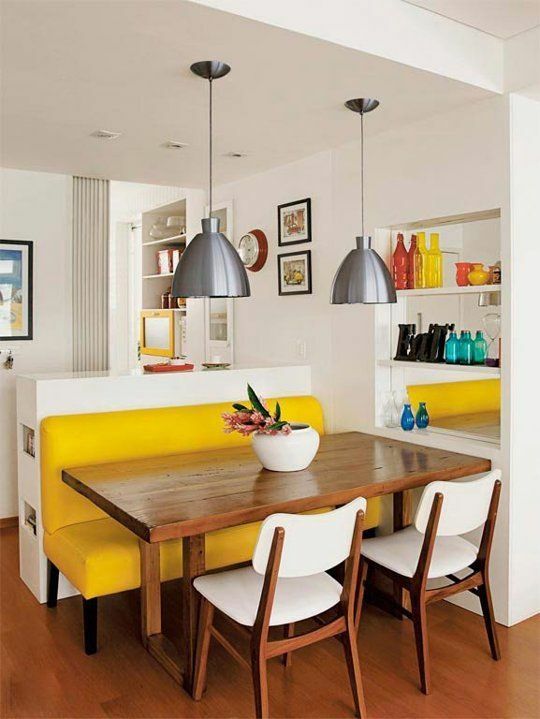 Matching the chairs, the yellow backsplash radiates brightly on the back. If you combine dining area with kitchen, you can add yellow touch on the dining table and makes it the focal point of the sight. This one here puts yellow table among the neutral look and it works the charms. 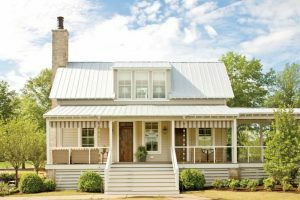 To make a subtle bright touch, adding something small like yellow sink is a brilliant move especially when the surrounding is left either in neutral color like white or dark color like black. 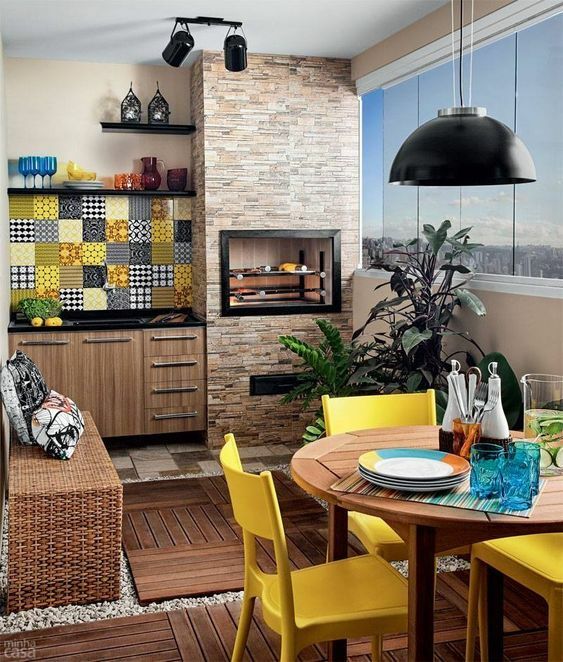 Another thing that can make a simple yet bold touch is by adding yellow stove in the kitchen. 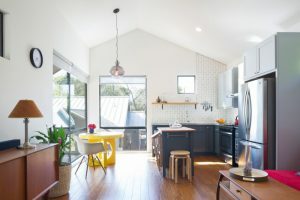 This one here adds yellow stove among white kitchen and the room looks bold yet still calm. This one here uses yellow not only in the small and simple thing but uses it in bolder furniture like upper cabinet. Amidst the beautiful glossy white surface, this glossy yellow upper cabinet looks so pronounced. 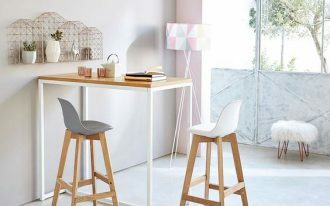 The addition of yellow stool is a really nice touch. 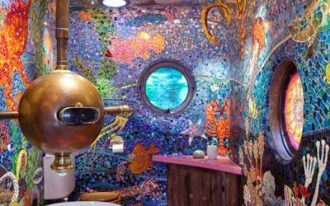 This kitchen also goes further in being bold. Not adding it in the furniture, it adds in on the floor. 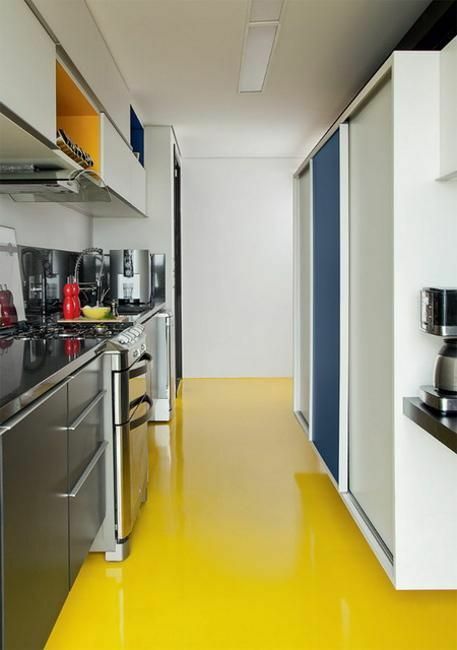 The seamless yellow floor looks so strong here. This one too has a strong yellow line. However, not only on the floor, this one also has a strong line on the backsplash. Using yellow tiny square tiles, the backsplash not only having a bright and bold color but also simple texture. 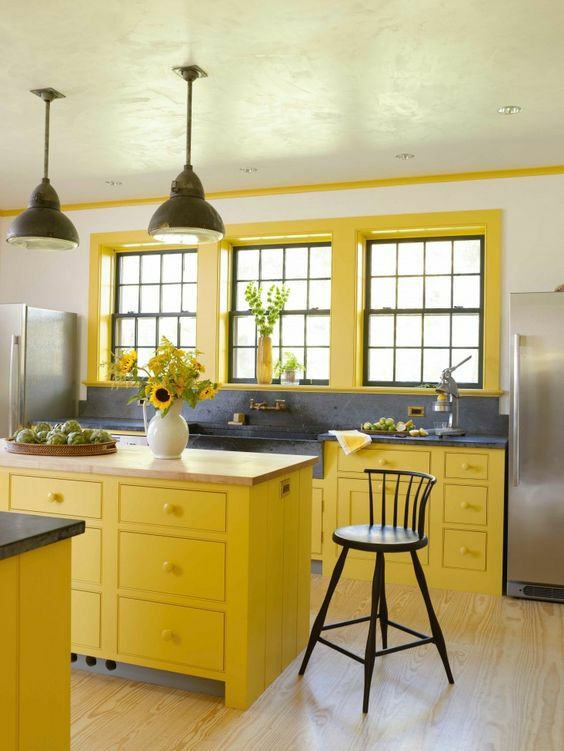 In this kitchen, yellow color brushes on the bottom cabinet, islands, and the frame of the windows. 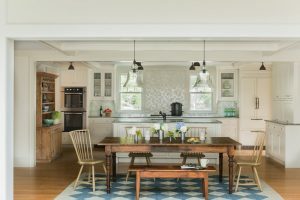 It adds an attractive pattern in the kitchen.